Metal recycling is one of the largest and most attractive industries in the world including Australia. We can change old and waste scrap into the new and costly metal through this great art. Copper has occupied a prominent space in the global market and it has now become the most profitable and important industry. Copper scrap is commonly available all around us in household electronics. 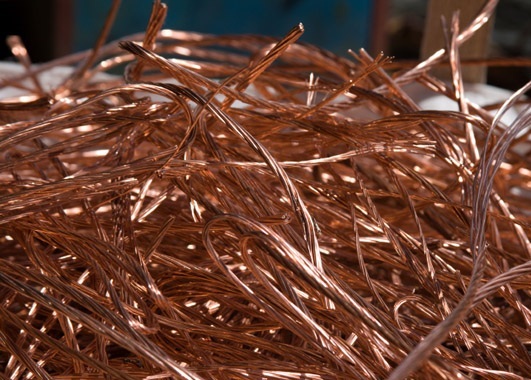 Air conditioner unit and wire cables are the best source of copper, but the most important thing is that you should know the current scrap copper prices. These prices fluctuate on a daily basis. The best way to monitor or have a close look on scrap copper trend is to check randomly the latest news on the internet. Scrap prices go up and down regularly and quickly so you can update with the local and international market through staying online. The prices of copper may differ depending on the quality and quantity you have. Monitor the local, national and international scrap copper prices because these prices fluctuate daily, weekly, monthly and yearly basis. Focus on the most reliable resources to find out the accurate copper pricing such as London Metal Exchange. Call daily to your recycle plant and make sure about the best price. Call at 02 9707 2955 to Scrap metal Sydney to get the daily copper price. Scrap copper prices at Scrap metal Sydney are very much attractive and we always offer a high rate to its customers as compared to the others in the market. The company motivated is to take recycling seriously and give excellent service to the customers. The dedicated staff at Scrap metal Sydney is committed to their job because the company enforces all necessary safety measures at every level of scrap copper recycling. The company offers a free pickup service if you have metal over hundred kilograms. We weigh and pay on the spot. Being the leading and one of the promising scrap metal companies in Sydney we have the best and fair prices for scrap metal especially for copper. The scrap copper prices for clean copper per kilogram are varying every day and we offer the price of that day. Copper price is different with respect of the quality and nature, so this is also considered. Once again, feel free to contact with us. Your all scrap related queries will be answered by our customer friendly service department, because we know better and understand how you want the business to be.